ITV’s planned new Saturday night entertainment show Rising Star is now no longer their planned new Saturday night entertainment show, after the channel chose to cancel their project of adapting the Israeli-created singing contest. The format, which has aired to huge success in its native country, was signed to an adaptation agreement by ITV as a planned replacement in their early-year schedules for celebrity reality contest Dancing on Ice (which aired its final season this year), but will now be looking elsewhere after dropping the show. 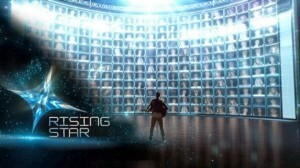 One of the reasons for letting Rising Star go was thought to be disappointing reception in the USA when it aired in the summer, along with a decision made on the German version to reduce the series length following “a lack of audience response”. Originally, this was thought to have made ITV consider their new version of the show as just a one-week episodic special, but instead it will now not exist at all, according to Broadcast. The format, believed by executives to be a potential future successor to existing singing contest The X Factor, took a set of contestants that would have a single performance on a live stage, with viewers at home able to vote on the singers via an official app during the song, with only acts reaching a 70% positive mark being eligible for progression to the next round of the contest. Microsoft have revealed plans to develop a unique ‘interactive TV’ service for the Xbox 360 games console, according to a recent job listing from the American company. 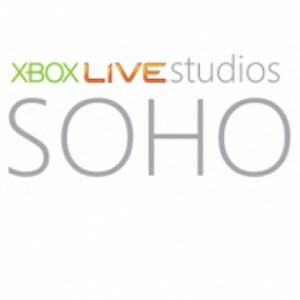 Filed under the Soho (England)-based studio arm of the company, Microsoft appear to be looking for a producer able to work on a collection of new television shows that will implement the flagship console’s Xbox Live and Xbox Kinect features. The key areas of the listing on LinkedIn state of the need for a ‘Television Producer': “As part of Microsoft Studios, Soho Productions is pushing the boundaries of Kinect and Xbox Live to bring a new line of interactive television experiences to the world. Working with leading global entertainment partners, we are creating experiences that are not bound by the traditional definitions of television or gaming. Experiences where watching and participating are inseparable that will delight and enrich the lives of people everywhere. 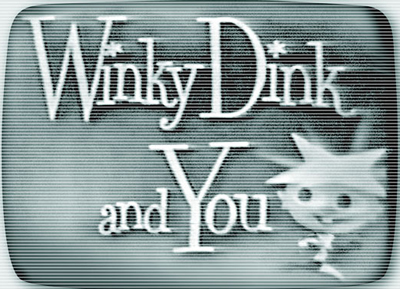 Working on the system, Microsoft could be looking to provide the next logical step forward from the currently popular trend of ‘interactive ads’, and may plan to integrate it onto further services in the future such as the rumoured ‘Xbox set top box’ for casual gaming and home entertainment, but will the development of potential original and interactive video content bring users a taster of what might be to come? The BBC has this week revealed another step forward in their broadcasting offerings, as they revealed a reinvention of their Red Button interactive TV service that now offers additional internet-connected content to subscribers of the Virgin Media TiVo platform. The service, called ‘Connected Red Button’, takes the regular TV signal-based Red Button offering that provides additional TV, radio and online content through select digital TV platforms. The new service makes its debut appearance on Virgin Media’s TiVo, as it opened yesterday to a potential viewer-base of the platform’s current 1.2m subscribers, who will now receive a ‘next-generation TV experience’ from the public broadcaster’s channels. The main features of Connected Red Button are a combination of the traditional version and an adapted version of the BBC Website, offering integrated iPlayer catch-up to watch shows on-demand through a TV set regardless of whether its channel is on-air (such as BBC Three, BBC Four, CBBC, and CBeebies). In addition, the BBC Connected Red Button will also enable online-exclusive video clips and news stories as an overlay to the main TV content for genres such as news and weather, while offering additional live streams and data for sports events, following on from the success of the ambitious 24-stream format used at the 2012 Olympic Games in London (England). ICM Partners and the cross-media company Screenz has announced a new agreement that will see the two companies converge together to create apps, games and other interactive experiences built around television. Screenz is a technology company that has already made a name for itself with apps and television-related experiences for mobile devices, tablets and computers. ICM Partners wants to leverage this technology knowledge and use their own operational know how and Hollywood contacts and power to begin creating the hottest and most interactive apps for television properties. “Over the last two years, second screen and interactive entertainment experiences have revolutionized the way audiences watch content and engage with each other, and with the incredible products and proven technologies that Screenz has operated around the world, our partnership is poised to drive the innovations that will shape our industry and benefit our clients,” said Keyvan Peymani, head of digital strategy at ICM Partners. “We now have access to developers we’re partnering with who have created actual products,” Peymani continued. The new partnership is to showcase the power the two companies have at creating fresh and new experiences for television viewing audiences–and of course selling those ideas to the top television networks across the globe. While social media was the take-off technology for the first decade of the 2000’s, it’s social media engagement and more importantly mobile and tablet computer apps that are gaining steam early into the second decade of the 21st century. With Screenz technical know-how and the executive power of ICM Partners, it’s very possible every show available on television will soon have not only its own app, but games and other interactive elements as well. Online TV ‘second screen‘ content provider Shazam have announced that they have extended the range of content covered by their service, with any TV show in the USA now ‘taggable’ on the app. The system offers featured the chance for users to view information surrounding a show (such as cast and crew names and show facts, amongst others) whilst it is being watched, with the ability to ‘tag’ a series based on recognising it in a similar manner to its flagship music identification service. With the app covering over 160 different channels, it is now claimed that all regular TV shows in the country will be recognised by Shazam’s technology, enabling a fast ‘load’ of the additional information mapped to the show being watched, in addition to a number of movies and adverts which can also be recognised. It is believed that the next move for Shazam will be an expansion to Europe, as they have confirmed their plans to offer enhanced ‘TV tagging’ to the UK region, whilst supporting different languages through greater coverage in France, Germany, Italy, and Spain by the end of the year. Claiming to have a global userbase of 250 million people (at a current growth rate of 2m subscribers per week), will Shazam’s TV recognition system gain even more popularity with its ‘full’ integrated coverage of American TV?